This overnight trip to Chobe National Park packs several small adventures into one action-packed tour. First, take a sunrise tour of Victoria Falls, one of the Seven Natural Wonders of the World and the world’s largest waterfall. 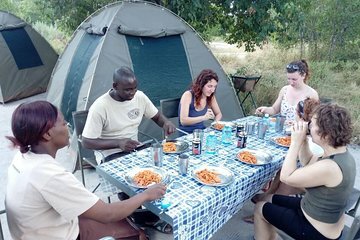 Then travel to Chobe National Park for a safari boat cruise and overnight in the park. The next-morning, take a leisurely game drive and have breakfast in the bush.